﻿ Vizhinjam village, Kovalam, Tourism attractions in Vizhinjam, Hotels near Vizhinjam Beach - Kovalam. Kovalam Tourist spots are not just confined to beaches even though they are the primary attraction here. Vizhinjam village should never be missed if you ever drop in to Kovalam. 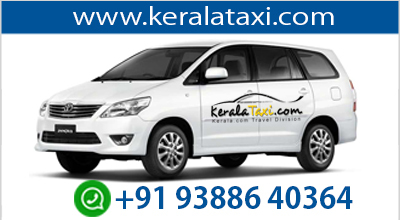 It is situated at a distance of nearly 3 km from Kovalam. This village which has a great deal of history to murmur is credited of having lots of dazzling places in Kovalam. Vizhinjam history starts from the Ay dynasty which is believed to have existed somewhere between 7th and 11th century. Until the Cheras emerged and established as the main force, Kerala was ruled by Ay dynasty. From AD 850 to AD 1400, the place was a battle ground for many wars between Kulashekharas and Cholas and finally it were the Cholas who emerged victorious. The latest archaeological excavations carried out here reflect the fact that this village was a promising port city during the ancient times. At the time of Romans, the place had trade relations with many countries. Later in the 14th and 15th centuries the Dutch and Portuguese traders crowded here to sell their wares and buy local wares from here. Vizhinjam today is a busy port flooded with fishing boats and you can also see lots of fishermen venturing into the distant sea. The village which is rustic and earthy is very much different from Kovalam in diverse aspects. Here you can see the real life of fishermen who push their boats into the sea for fishing in dawn and reach back by dusk. Marine aquarium in Vizhinjam is a place you must visit and here you will see wide varieties of rare aquatic species. This includes lionfish, surgeonfish clownfish, squirrelfish, piranhas, giant turtles, moon wrasse, butterfly fish, triggerfish and sharks. Here a technique named image pear production is practiced via which a mould of lime is filled into pearl oyster and within three months a pearl in shape of the mould used is ready. Another attraction at Vizhinjam is the rock- cut temple of 18th century. You will be amazed by the brilliant sculptures which showcases the skill of the workers who were behind this great work. The deity here is Vinadhara Dakshinamurthi. On the outer wall you will see a semi carved curious statue of Lord Siva and his spouse, goddess Parvati. Towards the other end, there is the Vizhinjam mosque in orange and white colour. 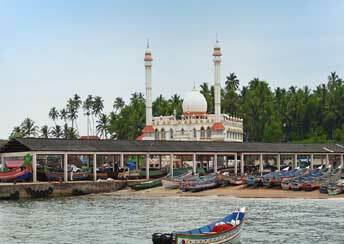 The mosque majestically stands as a witness to all the fishing activities carried out in the harbour. 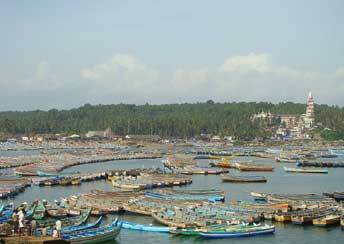 Vizhinjam fishing harbour is yet another place of significance here. The place is famous because of a demonstration plant which converts the energy from sea waves to electricity and this is then provided to the local net here. The plant works based on the principle of Oscillating Water Column (OWC) and has benefited the local inhabitants here in many ways. The ministry of tourism is introducing some grand projects for boosting up the scope of tourism here. Vizhinjam is regarded as the perfect place for such projects because of the unique marine ecology with rich biodiversity. Plans for setting up a diving school, marine museum, research centre, mari-culture system development unit and many more are there. Most of them are progressing with rapid pace as well.If you are planning to make a visit to Vizhinjam, remember that you will be mostly under open sky. Even though the weather is pleasant in the morning time and evening, by noon it gets really warm. So, you should apply some sunscreen lotion and always carry a bottle of water with you. It would be better if you avoid visiting the tourist places in Kovalam from March to September.